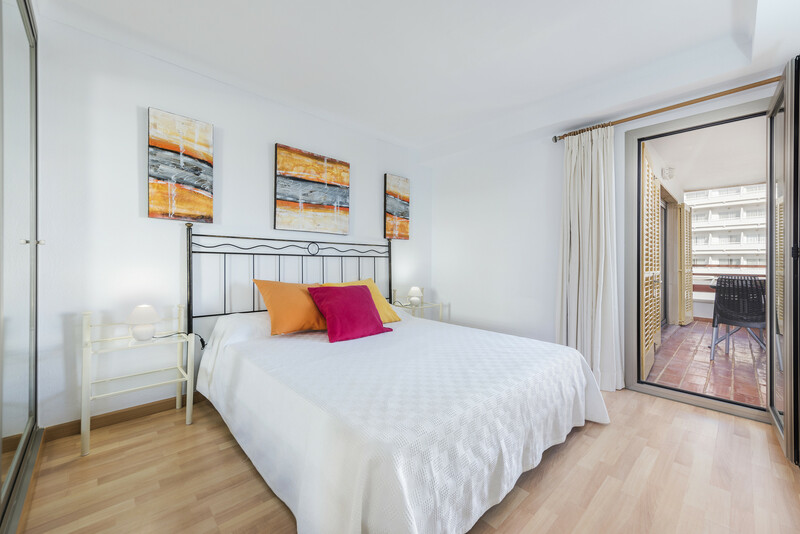 Roses is a spectacular holiday apartment overlooking the sea located just 50 meters from the beach of Playa de Alcudia. 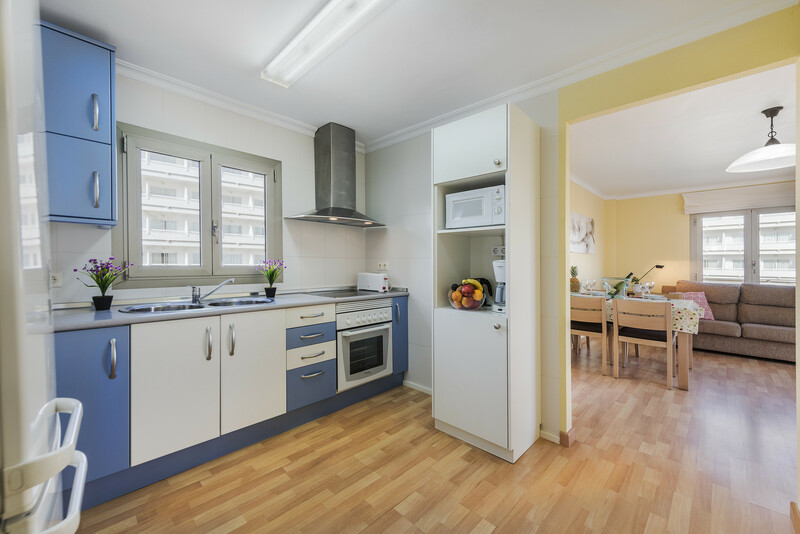 The accommodation is fully equipped, furnished and has everything what you would need for your holidays. 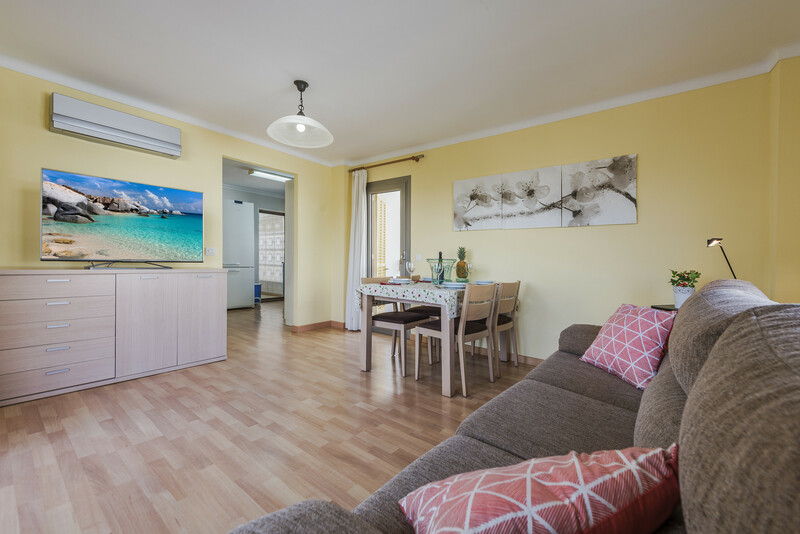 It is suitable for 4 people, has 2 bedrooms, one full bathroom, a living room with a flat screen TV, a dinning table, a sofa and a fully equipped kitchen. 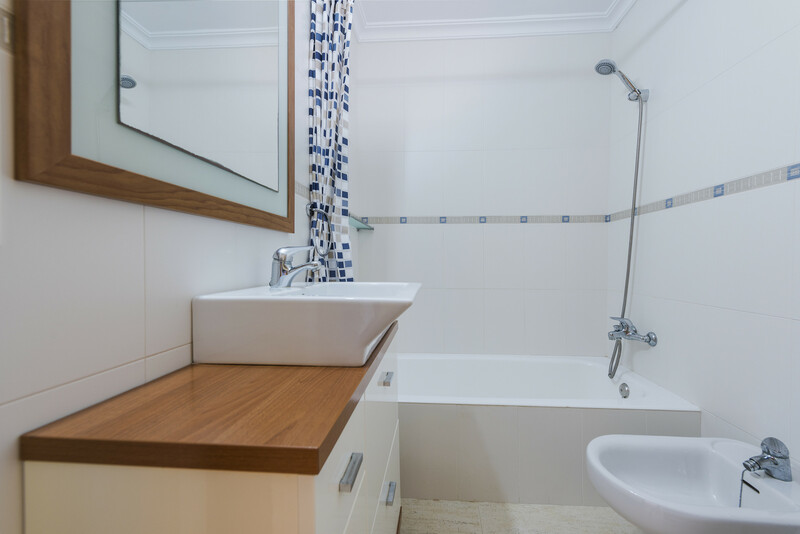 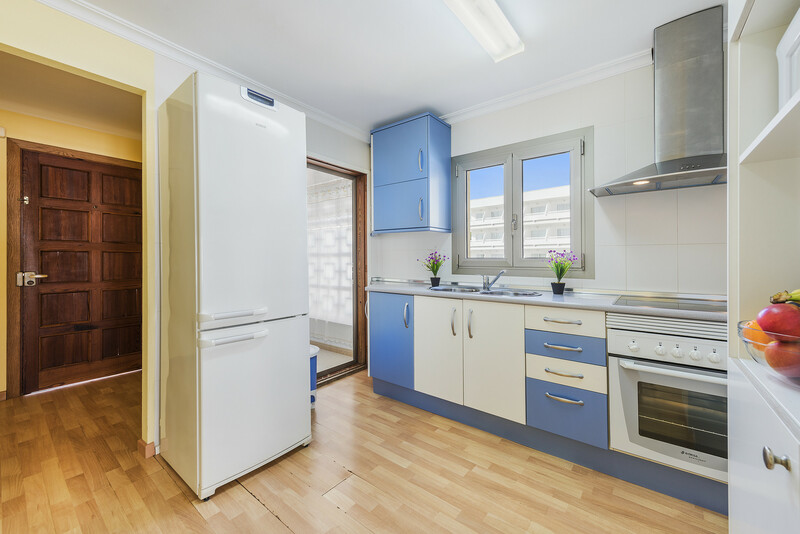 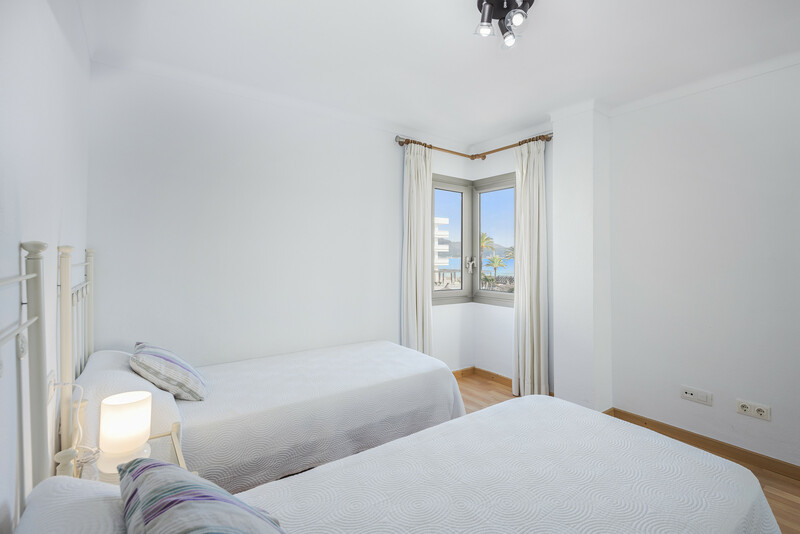 This holiday home is situated in Puerto de Alcudia, a tourist area where you can enjoy countless services, supermarkets, restaurants and many activities to practice as a family. 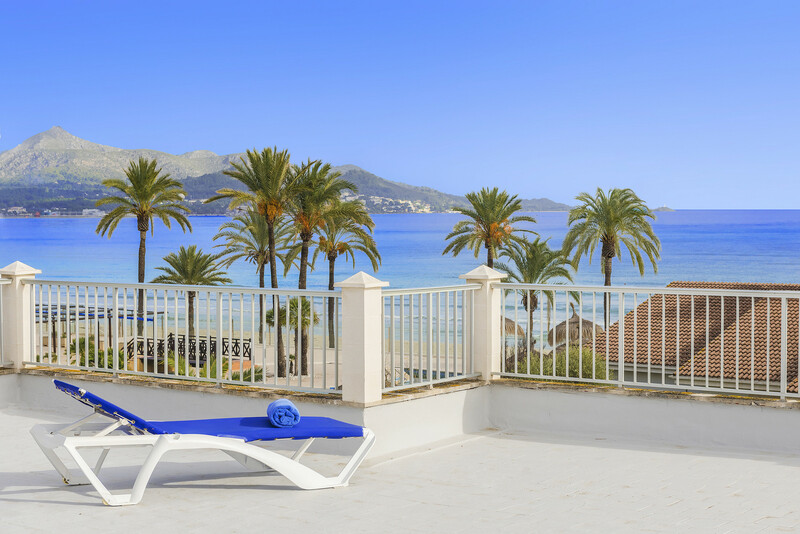 But the most impressive of the area is the spectacular white sand beach and crystal clear waters. 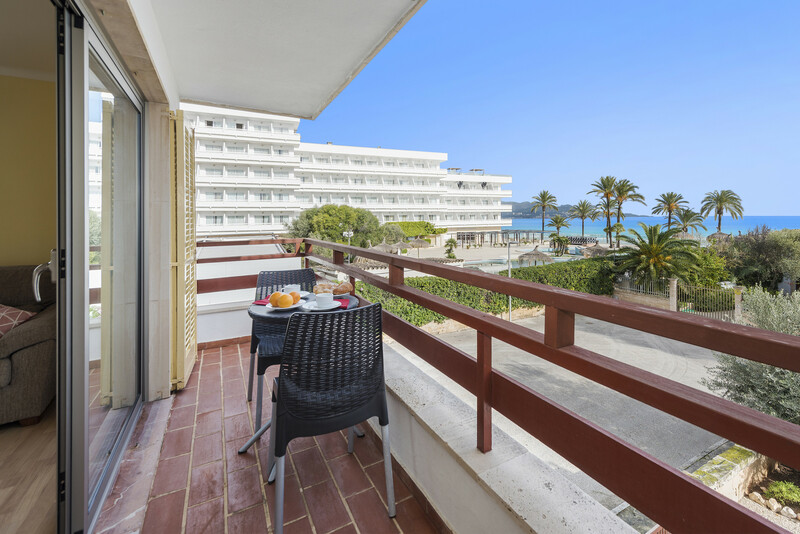 Without a doubt, it is a perfect place to spend a relaxing and peaceful holiday near the sea. 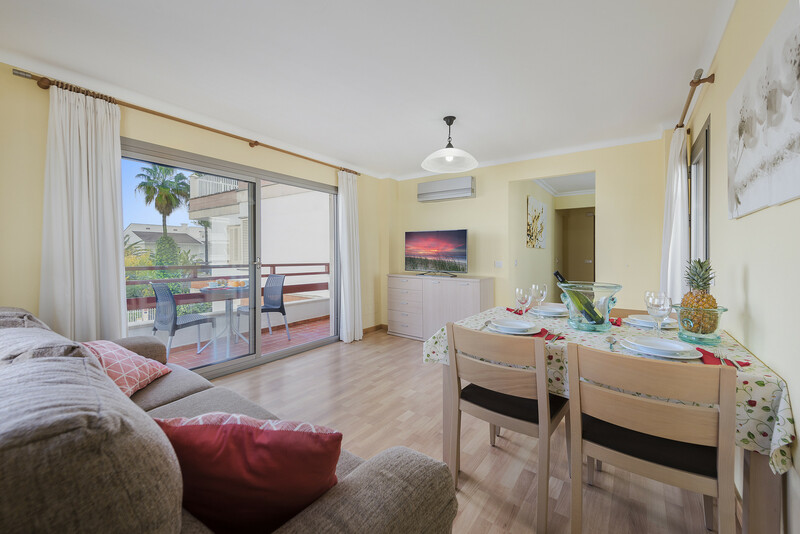 Apartment Palms is ideal for enjoying the outdoors and contemplating the views of the spectacular beach of Playa de Alcudia. 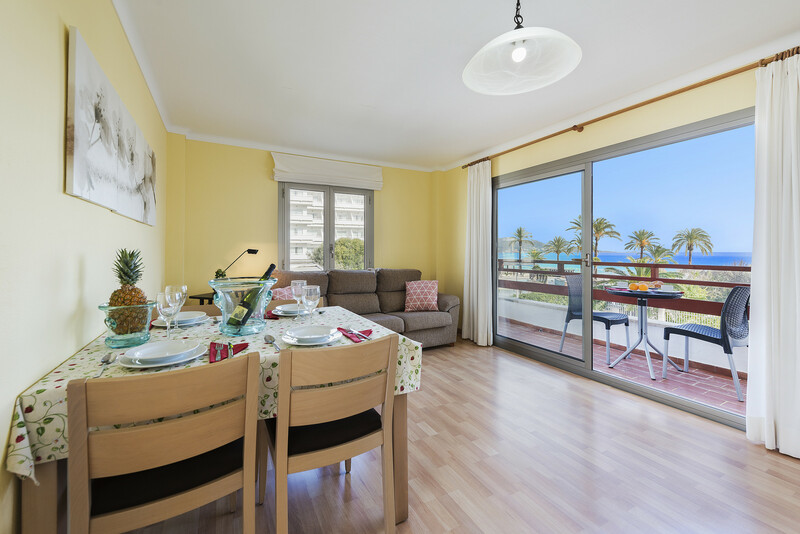 Unbeatable location for those who wish to be close to the beach and near all amenities.